The Menuhin Competition Trust is seeking a full-time Coordinator to join the London-based team from March/April 2019, predominantly working from our Waterloo-based office in London until being based in Richmond, Virginia (USA) during May 2020 for the Competition. The Menuhin Competition Trust Coordinator will be responsible for the applicants and competitors of the Menuhin Competition Richmond 2020, operate the Trust’s marketing and communications and support the General Manager with all of the Trust’s activities and the running of the London office. We are looking for a proactive individual with a strong understanding of the music scene, including experience of successfully administering events and building and upholding relationships with artists within both local and international environments. In particular the successful candidate will need the ability to correspond clearly yet warmly with young people and their families (many of whom are internationally based with English not being their first language), have demonstrable marketing and communications experience, and have outstanding attention to detail. The next edition of the Competition will be held in Richmond, Virginia (USA) from 14-24 May 2020. 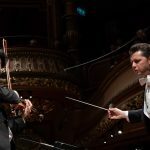 The Competition is run by the Menuhin Competition Trust, a UK registered charity, in partnership with a Host City Team made up of a consortium of partners in Richmond, Virginia, led by the Richmond Symphony Orchestra, to plan and deliver the event in co-operation with local partners. Candidates must be available for interview in London on 28th/29th January 2019. 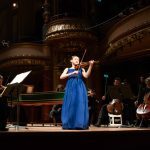 For further information regarding previous editions of the Competition, most recently the Menuhin Competition Geneva 2018, please click here.